On the day he was elected, Donald Trump’s plan to ban all foreign Muslims from entering the United States disappeared from his website, raising the hope that he is quietly walking back one of his most notorious proposals. But American Muslims and others concerned about religious liberty in the US are hardly reassured. Earlier in the campaign, Trump garnered support by advocating for the surveillance of every American mosque; he approved the idea of additional law enforcement patrols of Muslim neighborhoods, and he called for compiling a national database of Muslims, insisting that they would have to register. He even suggested that it would be legitimate to close certain mosques where “some bad things were happening.” As we write this, American Muslims are reeling from a turn of events that threatens their religious liberty and other rights and even their sense of personal safety. Trump’s statements about Muslims helped to propel him to electoral victory, but they have also greatly alarmed those concerned about civil and religious liberties. They are part of what the ACLU had in mind when it described Trump as a “one-man constitutional crisis,” though legal scholars debate whether a ban on Muslim non-U.S. citizens would actually be unconstitutional. Our experience in co-editing The FBI and Religion: Faith and National Security Before and After 9/11, has taught us that not only is such a surveillance regime conceivable: it also has precedent in American history. Drawing together contributions from more than a dozen scholars, the volume covers the history of the FBI’s interactions with various religious communities—Protestant, Catholics, Jews—and it shows that the Bureau has a long track-record of surveilling, infiltrating, and occasionally harming religious communities and leaders that it deems a threat. 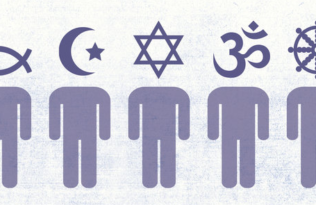 The FBI and other law enforcement agencies play a critical role in defending religious communities from hate crimes, but this history suggests that that they too can succumb to suspicion and stereotype, and become forces of persecution in their own right. The FBI’s treatment of American Muslims is a textbook example. FBI surveillance of Muslims did not begin with 9/11. It did not even begin with the Nation of Islam in the 1950s and ‘60s, an organization the FBI successfully fragmented by creating internal conflicts and stoking violence. We traced the story to the 1940s and the FBI’s treatment of a community known as the Moorish Science Temple of America. The Moorish Science Temple of America is an African-American religious movement established in 1913 by Timothy Drew, known to his followers as Noble Drew Ali. What seemed threatening about this group for the Bureau was not the possibility that it was harboring terrorists, but the group’s call for racial equality and the suspicion that it was encouraging draft-dodging among its followers. In Mississippi, the Bureau decimated branches of the MSTA that inspired local Blacks to oppose segregation laws, and throughout the years that followed, the Bureau coordinated with local law enforcement officials to conduct mass arrests, raid places of worship, and seize property. The FBI acknowledged in internal memos that the group’s members were not committing crimes and yet it continued surveillance, infiltration, and the use of tactics meant to disrupt their lives. Muslim groups were not the only religious communities to be treated in this way: our book documents similar episodes in the FBI’s treatment of Catholics, Jews, and many other religious groups. It is true that some of the more disturbing investigative practices of the Cold War-era FBI were exposed during the “Church Committee” senate hearings of the 1970s that followed the Watergate scandal, and that the FBI today conducts itself very differently than it did during World War II and the Cold War. But the events of 9/11 compelled the Bureau to engage in new forms of intelligence gathering, and there is evidence to suggest that it has engaged in some degree of spying on American Muslim communities in particular. An example emerged from documents obtained from the FBI by the ACLU, which showed that seemingly benign FBI outreach activity to Muslim communities sometimes served as a cover for intelligence gathering. The FBI denies such behavior, and the court system has served as a check, but what will happen when such practices have the explicit backing of a President? The history of the FBI’s interaction with religious communities teaches us that it is not just American Muslims that have something at stake when President-elect Trump proposes to keep Muslim neighborhoods under surveillance and to close houses of worship that he thinks are dangerous. The Federal Government has at its disposal the power to put such ideas into practice, and it has done so in the past in its treatment of many religious groups, though perhaps never as openly or on the scale that might now be possible in light of what was floated during the last election. As we head into the era of a Trump presidency, we may be facing a perfect storm of repressive measures when it comes to the federal government’s treatment of Muslims. Trump’s campaign rhetoric casts an entire religion as a national security threat, and it does so at a time when anti-Muslim hate crimes are at their highest level since the aftermath of 9/11. At the same time, the election has revealed disturbing things about the culture within the FBI today, suggesting to critics a parallel with the FBI of J. Edgar Hoover who ordered wiretaps on Martin Luther King in order to destroy him and enlisted the investigative power of the Bureau as an instrument of his anti-Communist political views and personal ambitions. There have been certain periods when American religious communities have been especially vulnerable to government harassment and persecution—during World War I, when religiously motivated conscientious objectors were subject to suspicion and arrest, and the Cold War era, when the FBI infiltrated or sought to discredit left-leaning religious leaders and communities it took to be puppets of a sinister foe. The current political climate warrants urgent concern that America may be on the verge of adding another chapter to this shameful history of religious persecution. Sylvester A. Johnson is Associate Professor of African American Studies and Religious Studies at Northwestern University. Steven P. Weitzman is the Abraham Ellis Professor of Hebrew and Semitic Languages and Literatures at the University of Pennsylvania and director of the Herbert D. Katz Center for Advanced Judaic Studies. 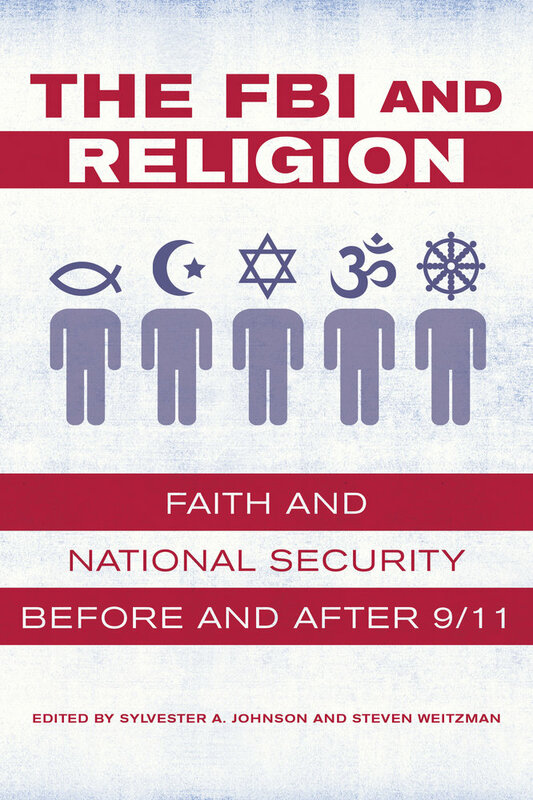 UC Press will publish The FBI and Religion: Faith and National Security Before and After 9/11 in February 2017.